One of the possible reasons for this could be that I struggle to find reading material that I actually like and won't get bored of after a couple of chapters. I'm a typical millennial and don't like reading something that will drag on, which is why I'm most definitely a magazine lover. Marie Claire, to be specific. 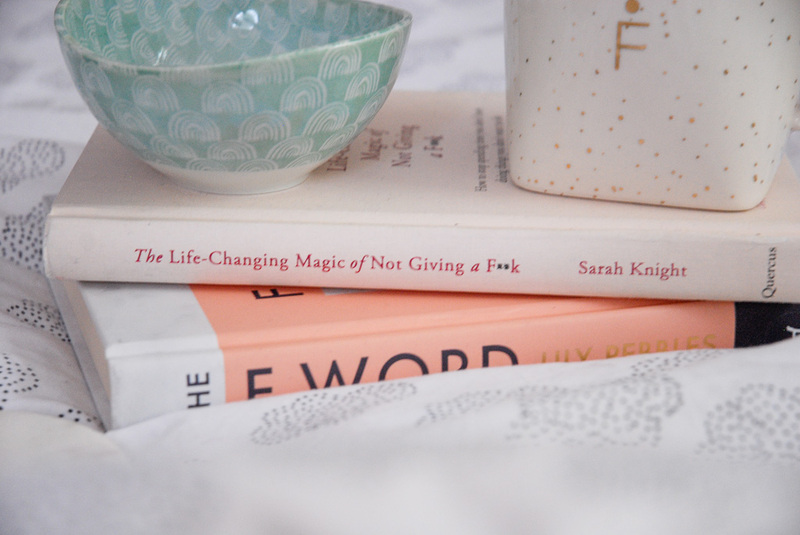 Another issue I face with finding a good book is the amount of non-fiction books that a just bullish*t. I like self-help books that aren't too self-helpish if you get me? I want someone to offer me a better solution to something without using that strange soothing tone, somewhat similar to a therapist that self help books often use. If you tell me to "Start from the begging, re-live it all" then I'll know this is not the book for me. I have hurled a self-help book across my room before, just FYI. They're not my thing. However, there are a couple of books I've discovered that have the same message that a self-help book would offer, but they're written in a comedic way. Which is something I love, I don't like it when people take themselves too seriously. I think we all know what books I'm talking about right now... it's the Sarah Knight ones. Whilst I was reading this, my Instagram inbox was full to the brim with messages from various different people asking how the book was or telling me how much they'd loved it when they read it. Turns out a lot of people had their eye on it, but weren't quite sure if it would be worth a read. Well I can confirm it definitely is. Usually with a book like this, I'll enjoy the read but not really take much away from it. With this particular book this was not the case. I found myself questioning wether or not I gave a f**k about certain situations and wether or not they were worth my energy for a long time afterwards. The book taught me to think of the f**k's I give as if they are money, or real life objects. You wouldn't go around handing out money to anyone or anything with no thought, or just to be nice. Why do it with your f**k's? The F word seem's to be a bit of a reoccurring theme here!? 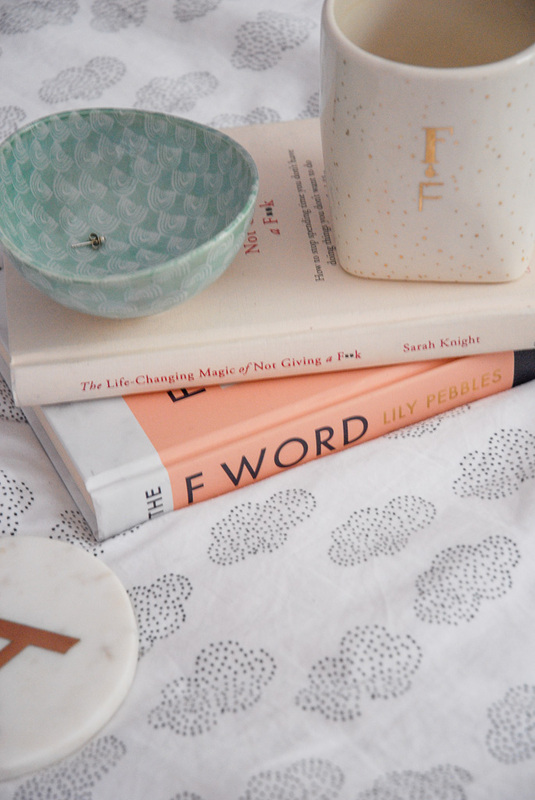 The F word is a book all about Female friendship and Lily Pebbles documents her experience of friendship with other women beautifully in the book. It was honestly one of the most relatable reads and you're bound to see your own friendships in the book as there is a chapter for each type of friend. I loved the chapter titled 'The single friend'. Lily described her as the one who is always feeling a bit left out due to the circumstances, even when you try to include them it just doesn't work out for a reason you can't change. In her case, the single friend didn't feel comfortable being around their friends when their partners were there. This was the chapter I found the most relatable, although none of my friends are dating (were a lonely bunch.... jokes, were happy single!) I have experienced friends not being as involved in the group as others for a reason that can't be changed. Which was something I saw a similarity to in the chapter about the single friend. These books have such cute covers! Always looking for books to add to my summer list. I need to read these! Books make everything better. Hopefully you enjoy yours! Ohh I'm always loving good book recommendations! Also, these photos are beautiful too! These looks really really fun read. Thanks for your recommendations dear. 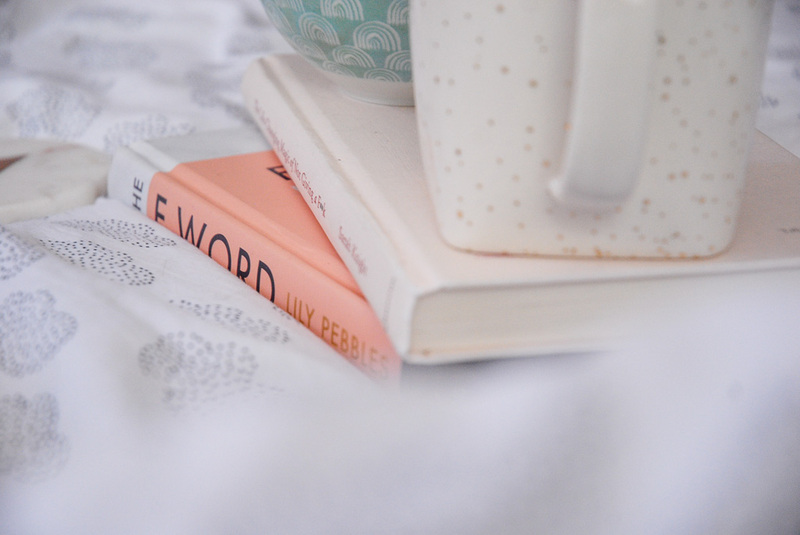 I read the f word recently and despite loving lily and the idea behind the book, i was a little disappointed. it felt more like a summary of lilys life and friends than a guide to female friendships and it only scratched the surface at most. How pretty are these books??? 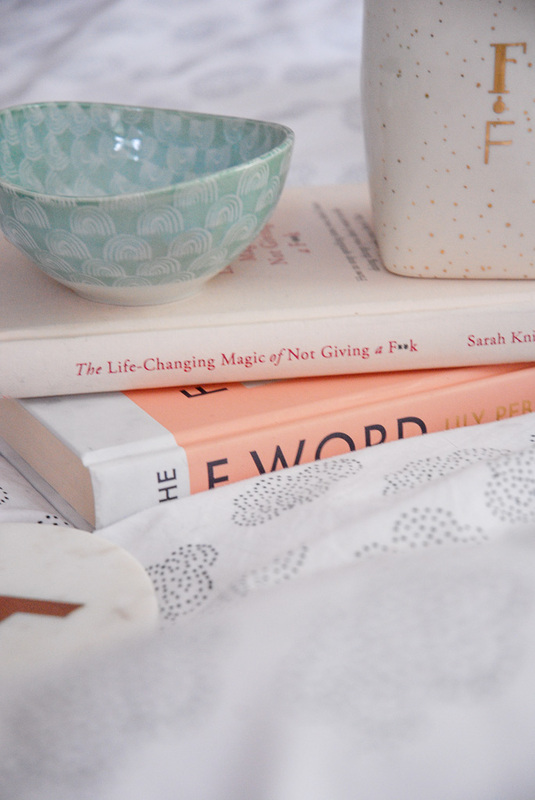 You’ve also convinced me to give these a read!! Sounds like great books. I need to find time to read more, missed reading. 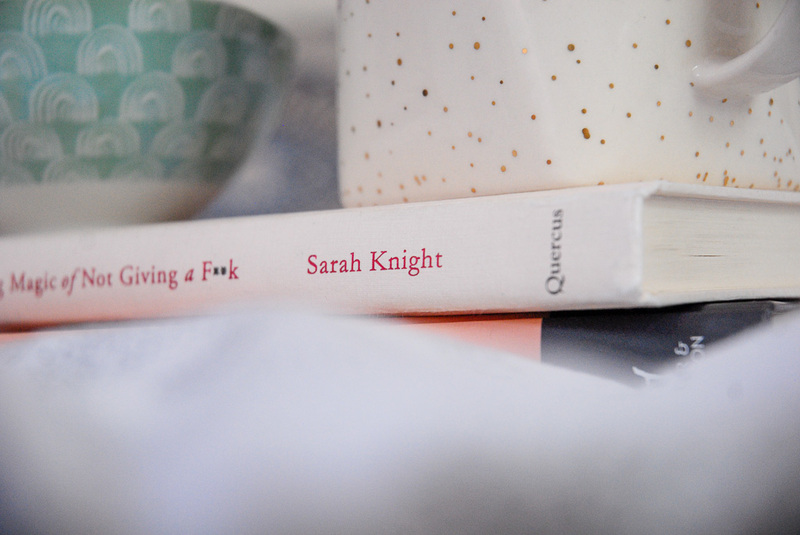 I love Sarah Knight's writing style - it's so to the point and relatable! this look like fun books! thats neat you are a magazine lover!